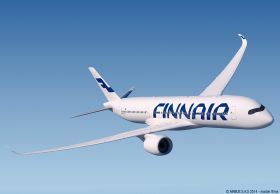 Finnair was the first European carrier to take delivery of the A350XWB with 11 currently in service and 8 on order, a further 3 are to be delivered before April 2019. The A350 seats 297 passengers, 46 in Business Class lie flat beds, 43 in Economy Comfort and 208 in Economy Class. The Finnair A350 offers an excellent in-flight entertainment system with 11” screens in Economy Class and 16” screens in Business Class. The advanced HEPA (High Efficiency Particulate Air) filtering system changes the cabin air every two to three minutes ensuring comfort and health for all passengers.